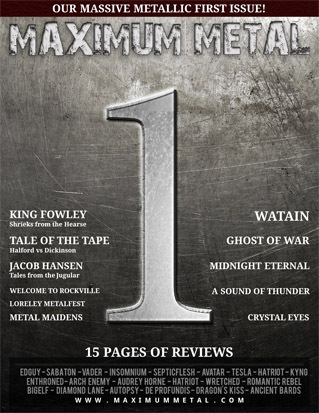 MAXIMUM METAL MAGAZINE has arrived! • Metal Maidens from Canada! Maximum Metal magazine will basically contain recent postings from the website with added exclusive content. It is available in an online format and a PDF version you can view and download. And Issue #1 is FREE to view and share!! !